Jeff Gorton should be applauded for his handling of the Rangers’ RFAs this offseason, but he still has some big decisions ahead. Photo courtesy of Getty Images. Jeff Gorton and the Rangers have been very busy this week, signing almost all of their restricted free agents to new deals, and leaving valuable cap space open for the future. Gorton signed or re-signed Dylan McIlrath (article HERE), Magnus Hellberg (article HERE), JT Miller and Jesper Fast (article HERE), and Oscar Lindberg and Emerson Etem (article HERE). What’s even better is that all of the players signed below what was their expected value. Oscar Lindberg, Emerson Etem, Jesper Fast and JT Miller signed for a combined cap hit of just $3.325 million. Now that’s great asset management. If all of the listed cap hits are right, the Rangers have about $6.925 million left in free space. But that number, believe it or not, is realistically a bit higher. Also assuming that Dylan McIlrath ($600k) doesn’t make the team, and that Jayson Megna ($600k) is an AHL depth player, which is very likely, you can bump the Rangers available cap space to around $8.125 million. That’s a lot more than anyone thought the Rangers would have at this point. 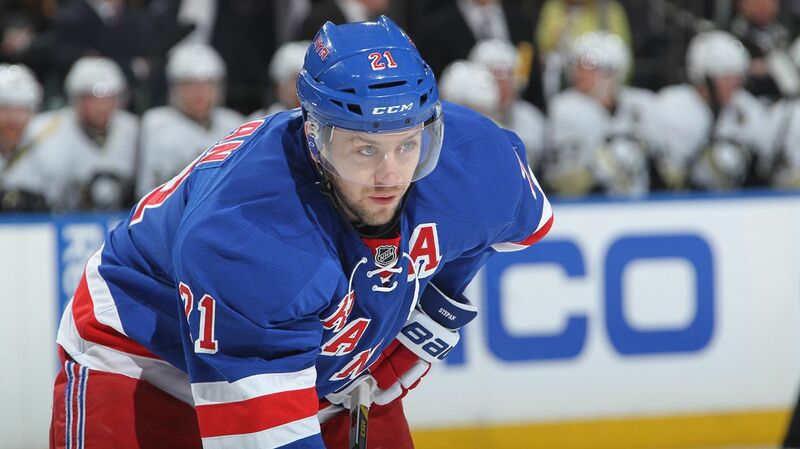 The “golden boy” of the Rangers’ RFAs, Derek Stepan, remains unsigned. Nobody knows where the negotiations are at, or if they’ve started, and nobody really knows how much he is asking for. But it surely seems like the Rangers should be able to retain him for next season, which is great news. All signs are pointing at a $7 million contract annually for Stepan, but I think that is on the really high end of the spectrum. I think that he will settle for closer to $6 million, or maybe $6.5 million. He will get paid, and that’s not a bad thing. He is just 24 years old, coming off of an excellent season that probably would have seen career highs had he not missed 14 regular season games. His two way game is phenomenal, he’s got eyes in the back of his head, and his versatility on the power play and penalty kill make him one of the team’s better, if not best, centers. Losing him would be very bad, and it would certainly be tough to replace him in the lineup. So let’s hope that Jeff Gorton does not have to do that. Derek Stepan will get paid following all of the RFA signings, and rightfully so, but my guess is that he’ll settle closer to $6 million. Photo courtesy of MSG Photos. But when looking to the future, it’s clear to see that the Rangers could really do with some more cap space. The Rangers did a great job keeping all of their RFAs to cheap contracts, but JT Miller and Emerson Etem are arbitration eligible next year. If they both have breakout years, then you’ll see decent raises for them. Also expiring next year are the contracts of Chris Kreider and Kevin Hayes. There is no discussion here, both players should be locked up to long-term deals ASAP. Kreider is on his way to becoming one of the best power forwards in the league, and Kevin Hayes’ rookie year was outstanding, and it looks even better when considering the fact that he wasn’t playing at his natural position. I’ve talked about it before, and I’ll mention it again. In order to clear cap space, the Rangers really should consider moving a defenseman, likely Kevin Klein, and try to get anything for Tanner Glass. I don’t have a personal vendetta against Kevin Klein. None of the Rangers bloggers or writers do. But when you look at the team like a business, and not your favorite team, you start to realize that cuts need to be made in order to better the team as a whole. Yes, Kevin Klein has a very cap-friendly contract. Yes, he is coming off of his best season as a pro. And yes, he is a solid, stay at home defenseman. But in my opinion, he’s the third best player when it comes to Marc Staal and Dan Girardi, who both play a similar game. 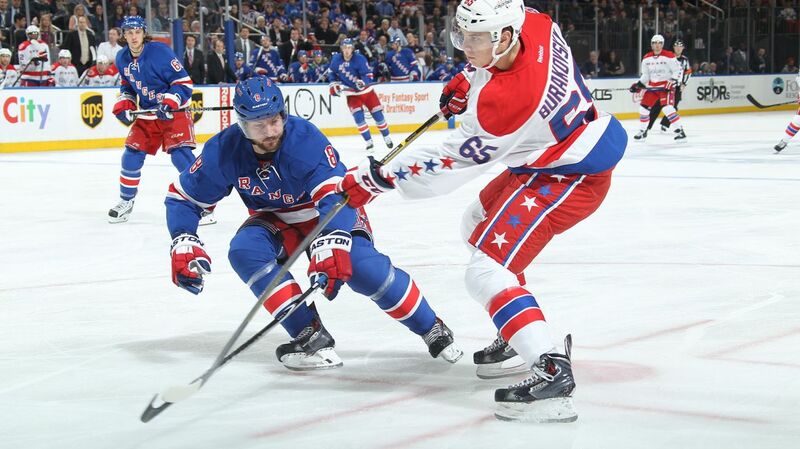 Do you really need three defensive-defensemen that don’t drive possession? Kevin Klein does have a cap-friendly contract, and he is a solid defenseman, but Dan Girardi and Marc Staal are better, and Brady Skjei is waiting in the wings to take his place. Photo courtesy of MSG Photos. And while I do think that with some work, Klein can develop his offensive game and learn to place his shot, what’s to say that this season wasn’t a fluke? You’re gambling on the fact that he can put up 20+ points, which he has done just one other time in his career. On top of that, Dan Girardi and Marc Staal both have no trade clauses, so if you want either of them gone, it’s realistically not going to happen. Moving Klein would clear an additional $2.9 million, and allow Raphael Diaz, Brady Skjei and Dylan McIlrath to compete for that final defensive spot. Diaz is definitely a serviceable, experienced defenseman who can suppress shots and limit chances, while many people think that Skjei is NHL ready now. There are some fans saying that Keith Yandle should be the one who gets the boot. And frankly, that would be really foolish. First off, he’s making less than Kevin Klein is, and he’s an average to above-average defender. But what you’re really getting from him is his elite puck moving ability, power play expertise, the ability to drive possession, and a shot at another 50+ point season. Yandle is one of the most talented defensemen to come to New York in a long time, and Sather gave up Anthony Duclair and two first round picks to get him. 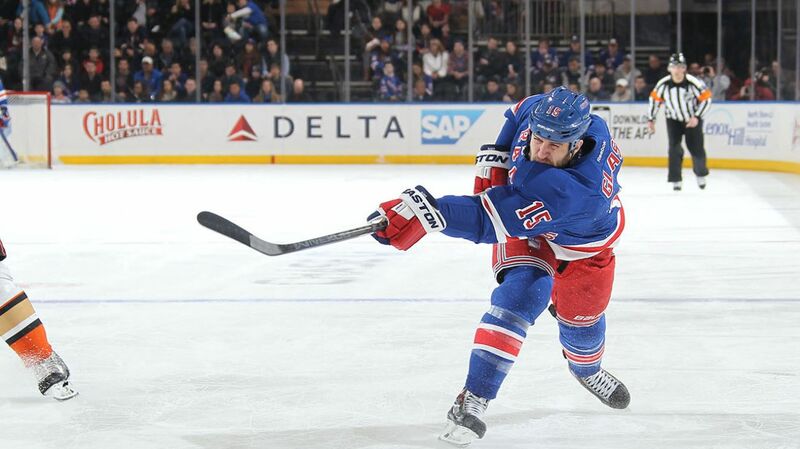 You don’t just let a guy like that walk in order to keep Derek Stepan, especially after giving up so much to get him. Tanner Glass was largely a disappointment this season, putting up just seven points (1-6-7) in the regular season and playoffs combined, providing next to no offense, and not playing nearly as physical as former fan-favorites Brandon Prust or Sean Avery. While he did play much better at the end of the season and in the playoffs, there are better options than him out there, and on the team already. Tanner Glass was better over the last part of the season, but there are better players already on the roster, and Glass’ $1.45 million cap hit is very costly. Photo courtesy of MSG Photos. The Flyers traded long-time goon Zac Rinaldo to the Boston Bruins for a third round pick. A third round pick. For Rinaldo. Who is a worse hockey player than Tanner Glass. If Gorton really wanted to move him, he could, and anything would be beneficial in order to take his $1.45 million cap hit off of the books. By moving Klein and Glass, the Rangers would create an additional $4.45 million in cap space, which is a ton. They could either make a move for one of the depth players still available on the market, like Eric Fehr or Alex Semin, or they could keep that space free for deadline moves, and for next offseason after Dan Boyle’s $4.5 million will also be off the books. That would leave ample space to re-sign the next group of free agents, and maybe even keep Keith Yandle around. That looks like a really damn good roster to me, and a roster that in my opinion, is better that this past season’s team. There is versatility there too. Hayes could be a center or a top-six winger with Stepan and Kreider, and Lindberg could easily slide in and take his place. Ryan Bourque is a guy that could get a shot on the fourth line at some point. And Diaz/Skjei could rotate in and out. 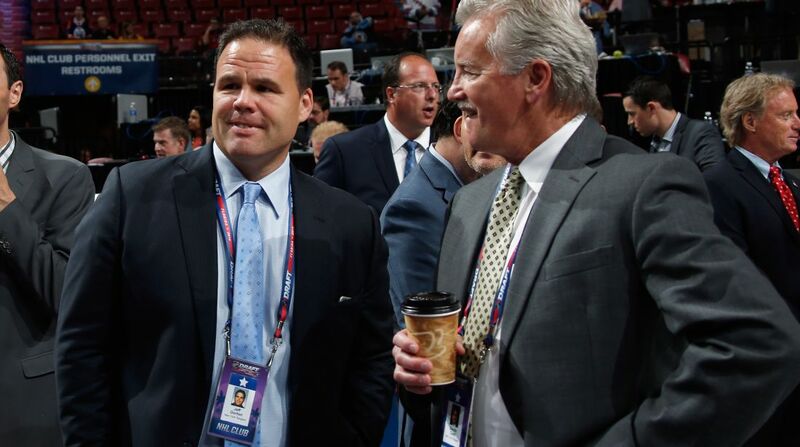 Jeff Gorton has a really big task ahead of him. He might make a trade, or maybe he’ll keep the roster as is. But there is a serious chance for him to improve the roster, and make room to retain the core following this season. Posted on July 16, 2015, in In the Crease and tagged Brady Skjei, Derek Stepan, Dylan McIlrath, Emerson Etem, Glass trade, Glen Sather, Hartford Wolf Pack, Jeff Gorton, Jesper Fast, JT Miller, Kevin Hayes, Kevin Klein, Klein trade, Madison Square Garden, MSG, New York Rangers, NHL Rumors, NHL Trades, NYR, Oscar Lindberg, Rangers, Ryan Bourque, Stepan arbitration, Tanner Glass, Viktor Stalberg. Bookmark the permalink. Leave a comment.